WILKINS, MARTIN ISAAC, lawyer and politician; b. 14 Sept. 1804 in Halifax, N. S., son of Lewis Morris Wilkins* and Sarah Creighton; m., probably in 1828, Jane Mortimer, née Wallace; d. 16 Aug. 1881 in Halifax. Martin Isaac Wilkins and his brother Lewis Morris were the grandsons of Isaac Wilkins, a politically active New York loyalist who had settled in Nova Scotia in 1784, and the sons of the veteran member of the assembly for Lunenburg and puisne judge of the Supreme Court of Nova Scotia. Martin Isaac was educated at the Anglican King’s College in Windsor, N.S., and was graduated ba from that institution in 1824. Admitted to the Nova Scotia bar in 1828, Wilkins became a successful lawyer in Pictou, settling there perhaps because his father owned property in the district. From the 1820s to the time of confederation, the people of Pictou County were divided into two camps, one of which was Church of Scotland (Kirk), Tory in politics, and largely of Highland extraction; the other, the majority group, was Anti-Burgher (secessionist), Reform in politics, and mainly of Scottish Lowland origin. 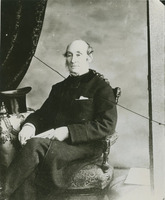 Wilkins, one of the few Anglicans in Pictou, threw his support behind the minority Kirk-Tory faction. He became a strong opponent of Dr Thomas McCulloch*, founder of Pictou Academy and a leading Reformer, and in 1843 contributed to and edited the Pictou Observer, the voice of the Kirk and its supporters. Prior to the gaining of responsible government in Nova Scotia in 1848, many Tories considered Pictou a hotbed of radicalism. Perhaps for this reason Wilkins was defeated as a Tory candidate in Pictou during the elections of 1840 and 1843. He tried again, however, and was elected in 1851 for the township of Pictou and re-elected in 1855 to represent the county. In February 1857 he accepted the position of solicitor general in the Conservative government of James William Johnston*, but he resigned in protest two years later when Robert Barry Dickey of Cumberland County was appointed to the Legislative Council to fill the vacancy left by David Creighton, a Pictonian. Wilkins also objected to a three-man delegation being sent to England to discuss the proposed Intercolonial Railway without specific approval by the legislature Estranged from his colleagues, he returned to the practice of law. 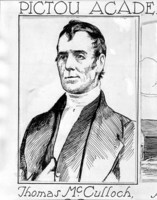 Wilkins re-entered the assembly in 1867 after successfully running as an anti-confederate in a bitter campaign in Pictou. 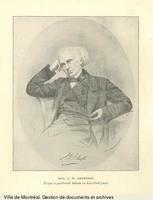 At the same time he published a pamphlet, Confederation examined in the light of reason and common sense, which argued that the inclusion of Nova Scotia in confederation through the British North America Act was unconstitutional because the province’s entry had not been sanctioned by provincial statute. 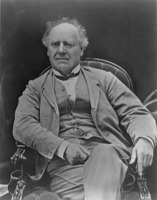 Some of Wilkins’ arguments were used by the Nova Scotia delegation which sought repeal of the act in London in 1868, but the British authorities dismissed his legal objections. He continued to oppose confederation, however, and during his tenure as the attorney general in William Annand’s anti-confederate government from 1867 to 1871, his views continued to receive support. In August 1868 he made a speech in the assembly which contained a thinly disguised threat that annexation to the United States would be preferable to confederation. 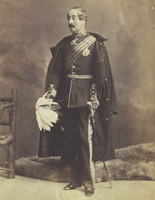 When called before Lieutenant Governor Charles Hastings Doyle to explain his strong rhetoric, Wilkins denied having threatened an appeal to another country and asserted his loyalty to the British crown. The incident cost him respect, seriously weakened his position as an anti-confederate, and led his political friends as well as his enemies to doubt his sincerity. Following negotiations by Joseph Howe* and Archibald Woodbury McLelan with Sir John Rose for “better terms” for Nova Scotia, Wilkins, sensing that the tide was running against him, in January 1869 moved the acceptance of the new agreement in the assembly. When he resigned from the Executive Council two years later, after unsuccessfully soliciting a judgeship from Sir John A. Macdonald*, he accepted the post of protonotary of the Supreme Court in Halifax and remained in that position until his death. Wilkins is remembered as a rather pathetic figure in his last years; weighing over 300 pounds, his political and legal ideas discredited, and disappointed with his court posting, he spent some of his time writing a book in which he attempted to prove there was no hell. Although Joseph Howe denigrated him as “a poltroon and a braggart” who pocketed his salary for merely proposing “a string of buncombe resolutions which everybody laughed at and nobody remembers,” others described him as the “most interesting character” and the “best speaker” in the assembly, and as a “clever though eccentric” man. Martin Isaac Wilkins was the author of Confederation examined in the light of reason and common sense: and the British N.A. Act shewn to be unconstitutional (Halifax, 1867) and Speeches delivered . . . in the House of Assembly of Nova Scotia, session 1868, on resolutions relative to repeal of the “British North America act, 1867” (Halifax, 1868). PANS, MG 1, 963A; MG 3, 272–75; RG 7, 50; ms file, Harry Piers, Notes; ms file, Wilkins family, Geneal. Howe, Speeches and letters (Chisholm), II. Acadian Recorder, 3 May 1856, 16 Aug. 1881. Halifax Herald, 19 Aug. 1902. Pictou Bee (Pictou, N.S. ), 1 Feb. 1837. Directory of N.S. MLAs. Dominion annual register, 1880–81. Encyclopedia Canadiana. J. M. Cameron, Political Pictonians: the men of the Legislative Council, Senate, House of Commons, House of Assembly, 1767–1967 (Ottawa, ), 18. G. [G.] Patterson, Studies in Nova Scotian history (Halifax, 1940). John Doull, “Four attorney-generals,” N.S. Hist. Soc., Coll., 27 (1947): 5–10. Harry Moody, “Political experiences in Nova Scotia,” Dalhousie Rev., 14 (1934–35): 65–76. [Benjamin] Russell, “Reminiscences of a legislature,” Dalhousie Rev., 3 (1923–24): 5–16. H. L. Scammell, “Martin Isaac Wilkins, opponent of confederation in Canada,” N.S. Hist. Soc., Coll., 36 (1968): 303–25. R. A. MacLean, “WILKINS, MARTIN ISAAC,” in Dictionary of Canadian Biography, vol. 11, University of Toronto/Université Laval, 2003–, accessed April 20, 2019, http://www.biographi.ca/en/bio/wilkins_martin_isaac_11E.html.